HOUSTON (NewsFix) — The Houston Police Department has released gut-wrenching bodycam footage showing the moments during a traffic stop. In the video, we see two officers on Highway 59 at about 3 a.m. last month when suddenly their lives changed in the blink of an eye! The Houston Police Department has released gut-wrenching bodycam footage showing the moment a police officer fell off a bridge while trying to avoid a drunk driver last month. "Drunk driver ended up coming through that scene-- and hitting two of our officers knocking them both off the freeway," Sgt. Don Egdorf from the HPD DWI Taskforce described. The chilling incident happened on July 28, but HPD released the footage at a press conference Thursday dealing with deadly DWIs. "Officer Roshad Carter certainly got the worst of it," Sgt. Egdorf added. "He was thrown about 16 feet below and suffered serious back injuries." "I had less than a second to react to the situation," Officer Carter recalled from his bed, in a full back brace. "In the instant, as soon as I seen the headlights, I jumped in the air. The car hit me on my side. I'm falling, and I just kept thinking to myself, when am I gonna stop falling?" HPD officials said Houston stands out for all the wrong reasons when it comes to drinking and driving. 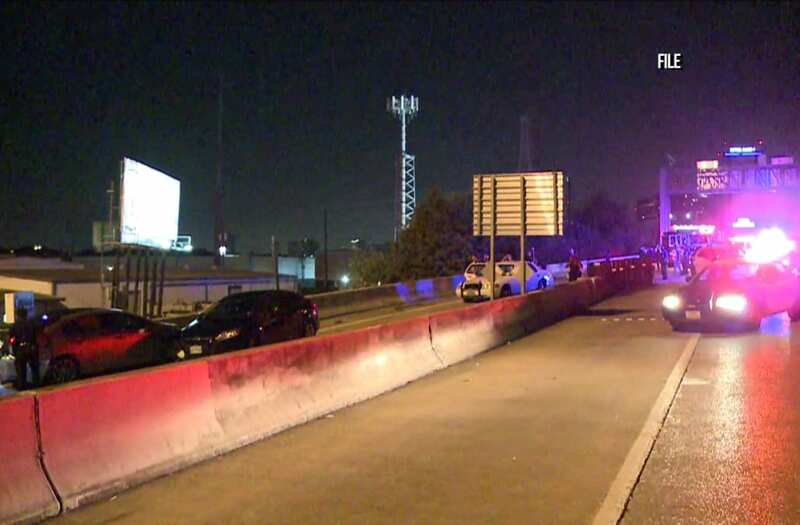 "The city of Houston, and Harris County, this region of the state, is the worst as it relates to the scourge of drinking and driving," HPD Chief Art Acevedo said. Officer Carter's mother, Debra, summed up the problem by sharing her own family's suffering. "You have to stay off the roads when you're drinking and driving," she said. "It's senseless." As she put it, "Drinking and driving is a selfish act!"